Born in the South, where he still has relatives, then a soldier and spy for the North -- where he left a wife and two children -- Seo epitomises the enduring divisions of the peninsula, and the way Koreans have been buffeted by the forces of history and politics. Gwangju (South Korea): Condemned to death twice for spying, Seo Ok-Ryol spent three decades in prison, most of it in solitary confinement. 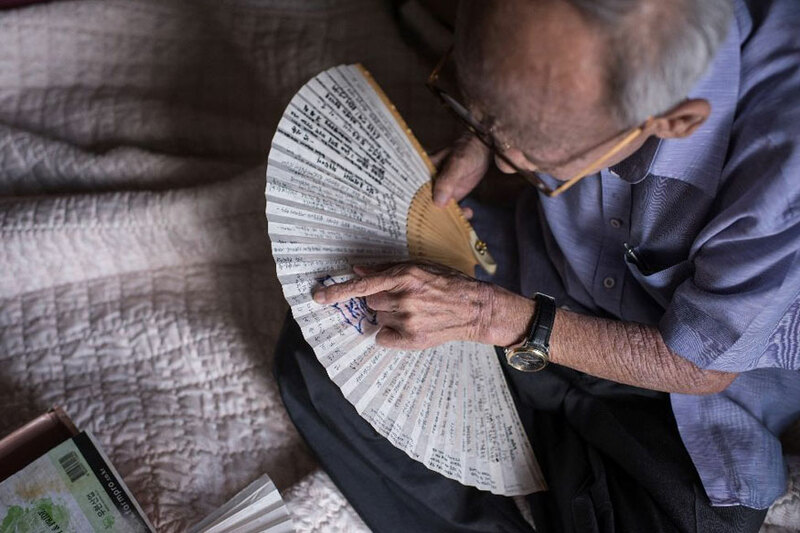 Now aged 90, the only thing he wants to do before he dies is go home -- to North Korea. But he did not turn Seo in, even though -- then as now -- unauthorised contact with North Koreans was punishable by heavy jail terms. But he arrived late at the pickup point and missed the rescue boat. He tried to swim the rest of the way, only for the current to sweep him back to the bank, where he was overpowered and detained by South Korean marines. "As a spy, you are supposed to kill yourself by either swallowing a poison capsule or using weapons," said Seo, adding: "There wasn't even enough time to commit suicide". "My mother passed out in court repeatedly when prosecutors demanded the death penalty and the judges handed down a death sentence," he told AFP in his first interview with international media. Attempts by the South's military dictatorship to re-educate North Korean prisoners reached their peak in the mid 1970s, when activists and former inmates say resisters were often beaten and waterboarded, denied sleep or meals, or thrown into dark and tiny "punishment cells". Gwangju is the heartland of South Korea's political Left, and 25 activist groups have launched a petition asking authorities to let Seo -- who was hospitalised for two months earlier this year with heart trouble -- and his fellow refuseniks be repatriated, saying their pledges were forced. A few years after Seo's release, a Korean woman living in Germany who visited Pyongyang told him that his wife and sons were still alive -- but advised him not to try to contact them for fear of undermining the men's career chances.